Tzolkin Records and Mexican Producer Javier Ponce (A.K.A. 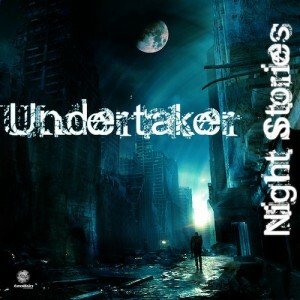 Undertaker) present Night Stories, the first Undertaker release. Prepare for ten nocturnal trips – stories with highlights and contrast just the same as life. This is not an ode to mysticism, to evil or negative thoughts, on the contrary it is an homage to the Yang of life: darkness. MP3 Download | FLAC Download | WAV Download · Download count: 8,534. Hey, Nice and Deep Tunes!! all the best on this release!! One of the best night albums on this whole site :) keep up the good work! barbaro el album!!! !,toodos los traks estan acorde a mi gusto y perfectos-….felicidades a javier ponce por esta obra de arte!!!!!!!!!!!!!!! I listened to this album a few times and my favorite thing about it was the wonderfully solid baselines. This reminds me of Orca, another Full-On Night producer who plugs in some hard electro inspirations into his productions. The difference between his music and Undertakers music is the quality, however. Even though Undertakers baselines hit each track hard, there are a few tracks here I did not enjoy as much as I thought I would. The artist does a fantastic job in creating some thick, gooey, and massive bass progressions that are destined for dancing, but there are many areas I feel are claustrophobic with sounds. These areas ruin the vibes for me, and urge me to only play segments of the track rather than the full song. There are many tracks that are simply repetitive and focus solely on that great bass… but I crave more progression, feeling, and climax from this nighttime style. The mastering is pretty good for most tracks, although at times they seems to focus on the low end spectrum. For example, the third song, Unhuman, has a lot of high frequencies that need to be toned down. I have to skip this track with my headphones on and they rattle my car. The next bit, Uskyldig Offer, has better mastering until the song jams sounds together near the two minute mark. That rising synth in the background is pretty cool, however, and I enjoy the buildup. If those sounds were layered correctly, this would be a fantastic track. The progression is very good, especially when it says “You are not alone” and kicks that delicious beat we crave right into Full-On action. At the four minute marker, the ambience in the background is awesome! Work on piecing together the puzzle pieces in a neater fashion and you can do great things. Right now, not all the pieces match the big picture. Specifically, the edgy lightning-sounding synths are too loud. Try filtering them a bit. Hidden in the album, there are a few very well done gems I can see myself playing on the dance floor when the moon rises high in the air. Nuclear Man is an excellent edgy full on experience that will please many ears. The sounds are mixed well together and progress into a well done style. If only every track was this good, then this album would earn higher praise. The voices really pull me in deep. The sounds go well together, and that is why I love it. In many tracks, a lot of the instruments are not as thought out. My advice would be to focus on your best sounds, plug them in all directions to be perfectly fitting and surround, engulf the listener in unexpected progression climaxes, and keep moving the crowds with your crystal clear basses. I would love to see more from you! Keep it up. Look back to Purple Haze… now, that one you did right! Anytime Javier. Being open to feedback means your already half way there! Good luck on your journeys. good work mate! best of luck!